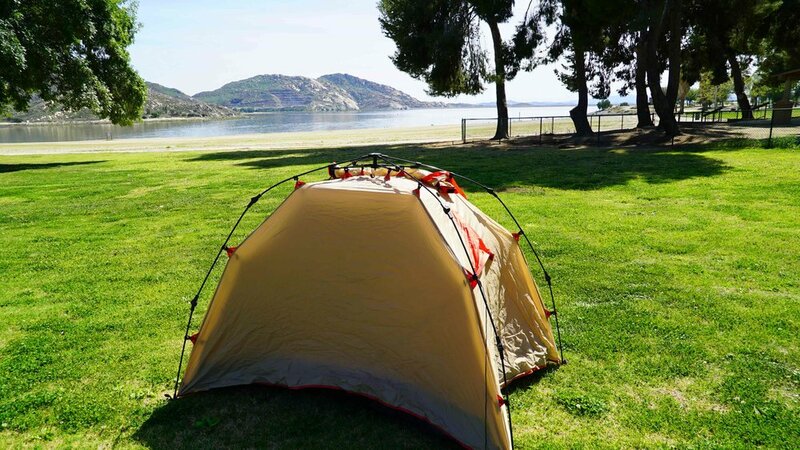 Camping options ranges from tent camping on the beach, car camping or RV spots / RV rentals. Every pass to the festival comes with free GA camping. You are more than welcome to camp anywhere in the festival area, as long as it is zoned for camping, including car camping areas. For more information, please check our map. Please remember, in order to park your car in the park, you will need to purchase a parking pass. 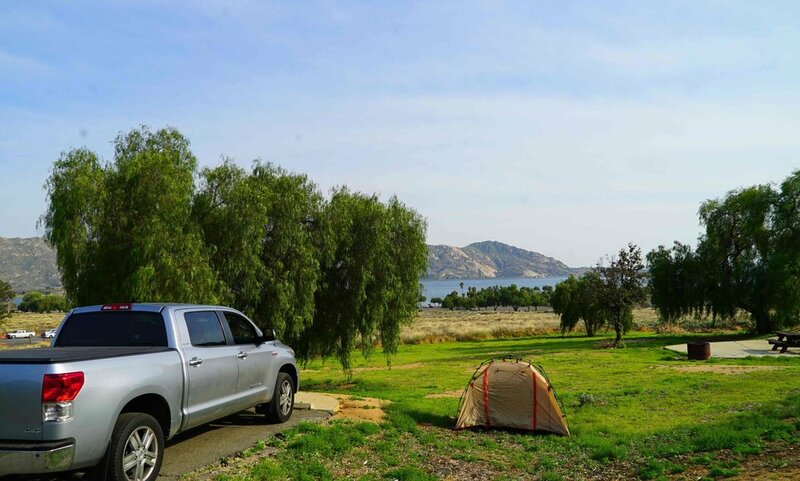 A Car Camping pass allows you to camp with your car in our Car Camping area. Car Camping spots are more secluded and include a BBQ pit and picnic table. Car Camping spots cannot be reserved, so if you want to come with a large group, make sure you all arrive together. If you have friends who have GA camping passes they can camp in the Car Camping area with you. Car campers do not need to purchase a separate parking pass. Limit 1 car per campsite. The RV hook-up sites at Lake Perris have water, grey water, and 30 amp electrical hook-ups. Don't forget adapters if your RV takes a different power amperage. Unfortunately, there are no black-water sewer hook-ups, but a dump station located at the campground entrance. Water and restrooms with free hot showers are nearby and are designated to accommodate wheelchairs. If you purchase an RV Camping pass, you do not need to purchase a GA Parking Pass. For information on renting an RV that is already set up for you when you arrive, CLICK HERE.